A day after the Angels finished 80-82 and missed the playoffs for the fourth consecutive season, general manager Billy Eppler set no timetables and confirmed no candidates as he began what's expected to be a lengthy process to identify the successor to Mike Scioscia, who stepped down Sunday after 19 seasons in the Big A's home dugout. Eppler praised Scioscia as "a lighthouse for this organization" and touted the manager as a Hall of Fame candidate. The GM also gave a few indications of what he's seeking in a leader when he puts his numerous managerial candidates through a lengthy interview process. "What we're looking for in that next manager is connectivity with the players," Eppler said. "We're looking for somebody who can think with a probability-based mindset. We're going to look for someone that's eager to grow (and) evolve. Someone that can develop a culture that will put the welfare of the team above any singular person." Although the Angels still haven't posted a winning record during Eppler's three seasons in charge, the GM feels his new manager will have the ingredients to create a winner, and he plans to get more talent in the free-agent market. The Angels haven't won a playoff game since 2009, and they're in a streak of three consecutive losing seasons for the first time since 1994 — but any organization that can build around Trout and Ohtani has a firm foundation, and Eppler is eager to continue the work he's been doing. "We need to win for our fans," Eppler said. "Win for our fans, win for our owner. That's where the mindset is." Injuries were the root of almost every problem for the Angels this season, with a jaw-dropping 25 players missing a significant amount of playing time. The Angels ended the season with 11 players on the DL, including key contributors such as slugger Albert Pujols, former ace Garrett Richards, free-agent signee Zack Cozart and former closer Keynan Middleton. They had to use 16 starting pitchers during a season in which they lost seven potentially important big-league starters to arm surgery, including Ohtani. Although there appears to be no common thread in this enormous tapestry of injury, Eppler said the Angels will try some new things next season in an effort to preserve their players' health — but Eppler declined to say exactly what those things would be. Durable starting pitchers will be atop Eppler's list of desired free agents, but he also emerged happy with Andrew Heaney, Tyler Skaggs and surprising rookie Jaime Barria. All three made at least 24 starts for an otherwise patchwork rotation — and while they weren't stars, they were solid. "It was difficult to navigate," Eppler said. "There was some instances where we were looking for starters the night before games sometimes, and we tested our depth. We tested the airport, we were in there so much running guys back and forth. But what our goal is is to get through the season with five or six starters next season. That would be great." Even with a lineup featuring talents like Trout, Andrelton Simmons, Pujols, Justin Upton and Ohtani, the Angels scored only 721 runs — good for just 15th in the big leagues. Eppler distilled his plans for the Angels' 2019 offense to one key statistic: "Our team on-base percentage (.313) was low. It was too low, simply put. We were seventh in home runs in baseball (214). All the teams in front of us were in the postseason except one (Toronto). We were 20th in on-base percentage, which is why we were only 15th in runs scored. A lot of solo home runs. We need to be on base. It is the only statistic that correlates with runs scored." Trout will be at least 28 years old before he wins his first playoff game, and the amiable outfielder is frustrated by losing. But he has remained publicly content with Eppler's efforts to build a winner around him while restocking a farm system left bare by previous GM Jerry Dipoto. 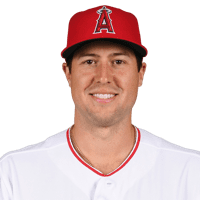 Trout was the highest-paid player in baseball this season under a contract that runs through 2020, and Eppler declined to say anything Monday about the Angels' reported desire to lock up the two-time AL MVP to an even longer-term, more lucrative contract. Trout batted .312 with 39 homers and 79 RBIs in 140 games this season, and he led the majors with a .460 on-base percentage and a 1.088 OPS. Ohtani had Tommy John surgery on Monday, less than 24 hours after he singled in the final at-bat of his unique rookie season. Although the two-way star has many months of rehabilitation ahead, Eppler remains confident Ohtani will hit for the Angels in 2019 before he resumes his pitching career in 2020. Ohtani will spend plenty of time in Southern California during the winter, and he is a top candidate for the AL Rookie of the Year award. PITTSBURGH (AP) — Neal Huntington raised eyebrows last winter when the Pittsburgh Pirates general manager said the club's decision to trade franchise cornerstones Andrew McCutchen and Gerrit Cole wouldn't affect the team's ability to win the World Series in 2018. The message Huntington was trying to send was lost in his unwieldy delivery: that flipping Cole and McCutchen for younger major league talent would help the Pirates contend into 2019 and beyond. While Huntington's short-term version was spot on — the Pirates were out of the playoff picture by late August — whether his long-term vision pans out remains uncertain. Yet he and manager Clint Hurdle are confident Pittsburgh took a significant step forward in 2018. The Pirates won 82 games — just the franchise's fourth winning season in a quarter century — and head into 2019 with far fewer question marks than a year ago. The starting rotation, led by breakout seasons by Jameson Taillon and Trevor Williams and an uncharacteristically aggressive move at the trade deadline to acquire Chris Archer from Tampa Bay, morphed from a question mark into an exclamation point. The catching tandem of Francisco Cervelli and Elias Diaz was among the most offensively potent in the National League. 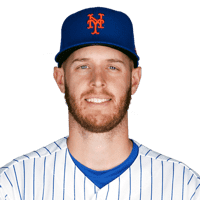 Third baseman Colin Moran — part of the deal that sent Cole to Houston — was steady if not always spectacular in his first full season. Left fielder Corey Dickerson hit .300 and proved more than capable of playing above-average defense at spacious PNC Park. Closer Felipe Vazquez was an All-Star again and received help when the Pirates acquired reliever Keone Kela from Texas. "We had ups and we had downs," Taillon said. "I think you saw a lot of growth from young guys. I think this group is going to be together for a long time. That's exciting to me." The key over the next six months is finding a way to carry that momentum forward. Having the front office splurge for some offensive help for a group that finished in the bottom half of the major leagues in runs, home runs, slugging and OPS would help. So would consistency. The team took a step toward addressing the problem Monday, announcing that hitting coach Jeff Branson and assistant hitting coach Jeff Livesey will not return next season. The Pirates in 2018 were equal parts promising and problematic. How else to explain a year that included a 26-17 stretch, an 11-31 free fall, an 11-game winning streak, a 10-17 August and a 16-10 September? "The best players, the best teams in our game find a way to keep the good stretches longer and the bad stretches shorter," Huntington said. "We need to find a way to do that collectively and individually." A look back and forward at a team that believes it is poised to be a legitimate factor next summer. Taillon looked every bit the staff ace Pittsburgh expected when it drafted him in the first round nearly a decade ago. 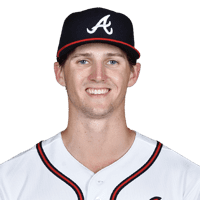 The 26-year-old won 14 games overall and posted a 2.33 ERA after the All-Star break, a mark that was only good enough for second on the team after Williams shook off a bumpy stretch to go 7-3 with a 1.38 ERA in his final 12 starts. The only real question mark for the rotation in 2019 is if Ivan Nova returns. 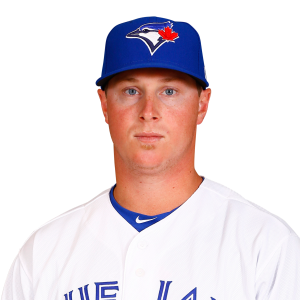 The veteran turns 32 in January, is due $9.1 million and went 9-9 with a 4.19 ERA, making him an expensive luxury for a fourth starter. The last links to Pittsburgh's run of three straight playoff berths from 2013-15 could be moving on. Shortstop Jordy Mercer will become a free agent and the Pirates are unlikely to exercise their $10 million club option on second baseman Josh Harrison. Adam Frazier showed he's capable of taking over for Harrison after hitting .306 with seven home runs in the second half. Kevin Newman will be given an extended look in spring training to replacing Mercer. First baseman Josh Bell hit just 12 home runs this season — 14 less than he hit in 2017 — and Bell is well aware that total needs to go up in 2019. "If I can do damage to the opposite gap and kind of put some pressure on the pitcher, especially in (PNC Park), pitchers will start making mistakes and I can start putting the balls in the seats," Bell said. "That's just for me personally. I have some growing to do this offseason." Third baseman Jung Ho Kang's long climb back to the majors ended when he played in the season-ending series in Cincinnati. The Pirates won't exercise their option on Kang for 2019 but could bring him back at a lower price provided Kang's visa issues and the drunk driving problems that plagued him in his native Korea are finally behind him. "Now that the season is over," Jones said, "the next chapter starts." Halfway into the worst season in Orioles history, Duquette began the overhaul by trading Manny Machado, Zach Britton, Jonathan Schoop, Kevin Gausman, Darren O'Day and Brad Brach for 15 minor league prospects and International signing bonus slot money. There's no telling when the rebuild will begin to yield victories. "You don't put a timetable on it. You try to do it as fast as you can," Showalter said. "But you've got to do it with your nose down, and grind each day. You might be surprised where you stand when those days are behind you." 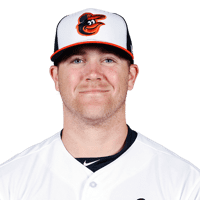 "We got on a losing roll and it kind of snowballed," pitcher Dylan Bundy said. "Then May came and it wasn't any better. Around the First of May I realized it wasn't going to be the year we thought it was, the year we hoped for or the year we planned for in the spring." The Astros won the World Series last year after going through a similar rebuild. The key, says Astros manager A.J. Hinch, is that you can't rush it. "Patience is always key," Hinch said. "Finding great players is paramount, and continuing to form their plan, develop their plan and execute it. "I know what it feels like when it works, and it's worth it. But it can reach some tough moments while you're trying to evaluate players, while you're trying to rebuild it." "There's some young talent in this clubhouse, and if you get everybody on the same page and start working towards our specific goal you can grow a nice little franchise here with the talent that we have," Joseph said. "I think the experience in itself goes a really long way," Hess said. "You always hear coming up that you can't really mimic the big leagues at any other level. That definitely proved true." PHILADELPHIA (AP) — It took the Philadelphia Phillies a little longer than usual to arrive at a familiar spot. After leading their division with the second-best record in the National League one week into August, the Phillies went 16-33 over the final 49 games and finished with a losing record (80-82) for the sixth straight season. There are several reasons for the collapse, and the Phillies will enter the offseason with plenty of questions as they try to reshape the roster into one that can contend for a full season. Philadelphia could try to land a big-name free agent like Bryce Harper or Manny Machado — or even both. "There's been some really important answers but there's things we have to address this offseason and future offseasons," general manager Matt Klentak said Monday. Gabe Kapler's first season as manager was adventurous. His unconventional approach drew a ton of scrutiny and criticism in Philadelphia, especially after the team fell apart. But Klentak is sticking by his analytics-minded manager and his new-school style. "His energy, his attitude, his work ethic and his willingness to adjust are about as good as they can be and I think we made enormous strides this year," Klentak said. "We were projected to win 74-76 games. That team is not going to the playoffs if you play traditional baseball. When those are your expectations, that's a good year to try things." Kapler, who found a positive spin on everything throughout the season, is optimistic — no surprise — about 2019. "If everybody takes a small step forward in their development we'll win a lot of baseball games," Kapler said. GOT AN ACE: Right-hander Aaron Nola established himself as a legitimate No. 1 starter by having one of the best seasons in franchise history. He was 17-6 with a 2.37 ERA. His 224 strikeouts were the second-most ever by a Phillies pitcher age 25 or younger. He joined Grover Cleveland Alexander (1915) as the only Phillies pitchers to strike out 200 or more batters and hold opponents to a batting average of .200 or lower. His 0.976 WHIP was the fifth-lowest in team history. 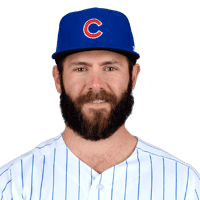 REST OF ROTATION: Right-hander Jake Arrieta (10-11, 3.96) isn't going anywhere because of his big contract. Fellow righties Zach Eflin (11-8, 4.36), Vince Velasquez (9-12, 4.85) and Nick Pivetta (7-14, 4.77) showed flashes but lacked consistency. It's likely at least one of the trio returns and all three could be back. CLOSING TIME: Rookie Seranthony Dominguez (2.95 ERA, 16 for 20 in save opportunities, 74 Ks in 58 innings) struggled after an outstanding start and then finished strong. Hector Neris lost his closer's job, got demoted and was excellent down the stretch. Several relievers had up-and-down seasons. The Phillies like their bullpen depth. INCONSISTENT OFFENSE: The Phillies finished last in average (.234) and were 22nd in runs. More hitters regressed as coaches emphasized launch angle instead of contact. Six players hit at least 15 homers but only two teams struck out more. Left fielder/first baseman Rhys Hoskins (.246, 34 homers, 96 RBIs) will be part of the nucleus going forward. Catcher Jorge Alfaro (.262, 10, 37) and infielder Scott Kingery (.226, 8, 35) will get another chance to prove they can be regulars. But there aren't many other guarantees. Outfielder Odubel Herrera had a career-high in homers (22) and career-low in average (.255). Same for second baseman Cesar Hernandez (.253, 15, 60). Third baseman Maikel Franco (.270, 22, 68) and outfielder Nick Williams (.256, 17, 50) aren't locks to be back. CHASING STARS: The Phillies will make a strong push for Harper and Machado. They spent big bucks on Arrieta ($75 million, three years), first baseman Carlos Santana ($60 million, three years) and right-handed relievers Pat Neshek (2.59 ERA, five saves) and Tommy Hunter (3.80 ERA, four saves) last offseason and got varying results. Ownership has deep pockets and a need to improve attendance. Harper or Machado or both would excite fans and significantly upgrade the lineup. DENVER (AP) — The NL West-leading Colorado Rockies locked up a playoff berth for the second straight season, beating the Washington Nationals 5-2 on Friday night for their eighth win in a row behind a resilient start from Kyle Freeland. 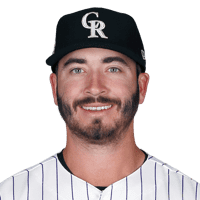 David Dahl homered for the fifth consecutive game and Ian Desmond hit a two-run homer against his former team to help Colorado clinch at least a wild card with two games remaining. The Rockies remained one game ahead of Los Angeles as they try to wrap up the franchise's first division crown. The Dodgers won 3-1 in San Francisco. The Rockies are headed to the postseason in back-to-back years for the first time in team history. This is their fifth playoff trip since the franchise began in 1993 — last year, they lost to Arizona in the NL wild-card game. Joe Ross (0-2) allowed four runs over five innings in his third start since undergoing Tommy John surgery last year. Charlie Blackmon had a solo homer in the Rockies third. BOSTON (AP) — New York clinched home-field advantage for the AL wild-card game, hitting four homers to tie the major league single-season record and beat Boston. Aaron Judge hit his first homer since coming off the disabled list Sept. 14, and Gary Sanchez, Aaron Hicks and Luke Voit also homered to match the mark of 264 set by the 1997 Seattle Mariners. The win in the opener of the three-game series settled the AL's last remaining postseason question with two games to go. The Yankees will host Oakland on Wednesday, with the winner playing Boston. The Red Sox, who clinched the best record in baseball with a franchise-record 107 wins, were hoping to make things difficult for their archrivals — and the Athletics, too — by forcing the winner of the wild-card game to have to fly cross-country next week. The ALDS begins in Boston on Friday. J.A. Happ (17-6) pitched three perfect innings and allowed just one hit through five. Staked to an 8-0 lead, he loaded the bases in the sixth for Steve Pearce's grand slam, but got Rafael Devers on a groundout to end the inning. Brian Johnson (4-5) was the loser. 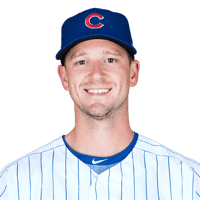 CHICAGO (AP) — Kyle Hendricks went eight innings in another strong start, Kris Bryant homered and Chicago moved closer to the NL Central championship and dealt another hit to St. Louis' playoff hopes. The Cubs came into the final weekend of the regular season with a franchise-record fourth straight trip to the postseason assured and their third division title in a row in sight. They remained one game ahead of Milwaukee, which beat Detroit 6-5 on Friday night. The Cubs can clinch the NL Central on Saturday — and home-field advantage throughout the NL playoffs — with a win and a Brewers loss. St. Louis dropped its fourth in a row, after being swept by Milwaukee. The Cardinals trail Los Angeles by two games for the second NL wild card after the Dodgers won in San Francisco late Friday night. With two games remaining, one more St. Louis loss or Los Angeles win would eliminate the Cardinals from postseason contention. Hendricks (14-11) gave up two runs and seven hits. He's 5-1 with a 1.52 ERA in his past seven outings. Bryant made it 3-0 with a long solo drive to center against Adam Wainwright (2-4) for just his second homer in 27 games. 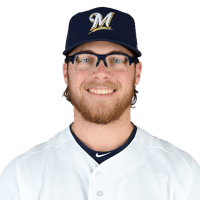 The 2016 NL MVP sat out the previous two because of a bruised left wrist and has two stints on the disabled list this season because of left shoulder inflammation. Daniel Murphy had two hits, two runs and an RBI. He singled and scored in a two-run first, doubled and came around in the fifth, and added a sacrifice fly in the seventh. SAN FRANCISCO (AP) — Justin Turner hit a go-ahead, two-run homer in the fifth inning and the Los Angeles Dodgers moved to the brink of securing baseball's final playoff berth. The Dodgers remained one game behind NL West-leading Colorado. They also extended their lead to two games over St. Louis for the second NL wild card with two to play. Los Angeles, which has won the last five division crowns, will go to lefty ace Clayton Kershaw on Saturday. Hyun-Jin Ryu (7-3) allowed one run on four hits over six innings to win his third straight start. He gave up Nick Hundley's leadoff homer in the second but the defense then backed its pitchers by turning five double plays — including one to end the game. Kenley Jansen, the fifth Dodgers reliever, finished for his 38th save. Turner's homer off lefty Madison Bumgarner (6-7) broke a 1-all tie. MILWAUKEE (AP) — Ryan Braun hit two homers, the second a solo shot in the eighth inning that bounced off right fielder Nicholas Castellanos' glove and over the fence, and Milwaukee beat Detroit to keep pace with the NL Central-leading Cubs. Already assured a playoff spot, the second-place Brewers (93-67) stayed one game back of Chicago, with two games left in the regular season. Braun also hit a solo homer in the first and doubled in the fifth. He benefited from bad luck in the eighth for Castellanos, who was tracking the high fly to the wall to his left. But the ball bounced off the glove raised over his head, then rolled over the top of the padded fence for a homer off Victor Alcantara (1-1). Jeremy Jeffress hit leadoff batter Jacoby Jones with a pitch in the forearm to lead off the ninth before retiring the next three Tigers for his 14th save. Joakim Soria (2-1) got the win after getting the last two outs of the eighth in relief of Hader. MINNEAPOLIS (AP) — Jose Berrios became the first Minnesota pitcher in eight years to reach 200 strikeouts, throwing seven smooth innings against Chicago in the first game of a doubleheader sweep. Mitch Garver had a career-high six RBIs in the second game. Berrios (12-11) finished his All-Star season with a career-best 3.84 ERA and 202 strikeouts. The last time a Twins pitcher topped that milestone was Francisco Liriano (201) in 2010, with Johan Santana (235) in 2007 the most recent prior to that. Berrios struck out nine batters, allowing just three hits and one run on Leury Garcia's RBI single in the third. Joe Mauer, playing possibly the final games of his career with an expiring contract and a pending decision about whether to retire at age 35, went 2 for 4 in each game. Chase DeJong (1-1) was the winner in the night game. Reynaldo Lopez (7-10) was the loser in the opener, and Lucas Giolito (10-13) dropped the second. 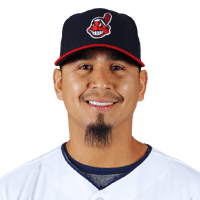 KANSAS CITY (AP) — Josh Donaldson hit a grand slam and double during a 10-run seventh inning, powering Cleveland past Kansas City. But the Indians then broke loose against Ian Kennedy (3-9) for their first 10-run inning since doing it on Sept. 30, 2012, against the Royals in Cleveland. Mike Clevinger (13-8) was the winner. Brian Goodwin hit a grand slam for the Royals in the ninth off Adam Plutko. Whit Merrifield extended his hitting streak to 18 games. BALTIMORE (AP) — Gerrit Cole tuned up for the postseason by pitching six sharp innings, and Houston got a home run from Josh Reddick in the Astros' victory over Baltimore. Cole gave up one run, five hits and a walk. His four strikeouts gave him 276 for the season, and he reached 200 innings for the third time in his career. Tony Sipp (3-1) and Collin McHugh each pitched one inning before Roberto Osuna worked the ninth for his 21st save. PHILADELPHIA (AP) — Freddie Freeman hit three doubles in a four-hit performance and drove in three runs, and Atlanta routed Philadelphia to keep up its push for home-field advantage in the playoffs. The NL East champion Braves improved to 90-70, coming off three straight seasons of at least 90 losses. They will face the NL West champion in the best-of-five Division Series. Johan Camargo, who homered, and Ronald Acuna Jr. each had three hits for Atlanta. Mike Foltynewicz (13-10) pitched five strong innings, a week after helping the Braves beat Philadelphia to clinch their crown. Rhys Hoskins homered in the ninth for the Phillies, and Jerad Eickhoff (0-1) was the loser. NEW YORK (AP) — David Wright finally made it back into a major league game, grounding out in his first plate appearance for New York in nearly 2 1/2 years in a loss to Miami. 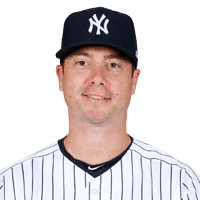 Sidelined by neck, back and shoulder injuries since May 27, 2016, the 35-year-old Wright came up as a pinch-hitter leading off the fifth inning. Wright is scheduled to start at third base Saturday night against the last-place Marlins in his goodbye game before a sellout crowd. Unable to overcome all the injuries, he said he expects this weekend to mark his final appearance in the big leagues. 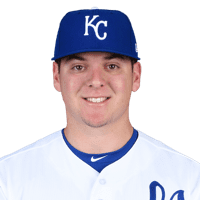 Paul Sewald (0-7) was the loser. 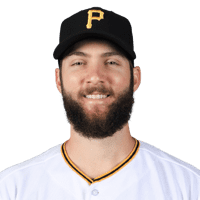 CINCINNATI (AP) — Elias Diaz hit a tiebreaking homer, and Colin Moran also homered and drove in three runs and Pittsburgh pulled away its their seventh straight win over Cincinnati. Nick Kingham gave up Eugenio Suarez's two-run homer, his first since Sept. 10, during his 3 2/3 innings. Steven Brault (6-3) allowed three hits in 2 1/3 innings. Reds catcher Tucker Barnhart had a career-high five hits, including a triple, a bunt single and a two-run homer. Anthony DeSclafani (7-8) was the loser. ST. PETERSBURG, Fla. (AP) — Randal Grichuk hit a pinch-hit, three-run triple and Toronto rallied to beat Tampa Bay. Jon Berti, playing in his second big league game after eight years in the minors, had a two-run double for his first career RBIs to tie it at 4 in the sixth inning. Grichuk's first triple of the season came off Jose Alvarado (1-6) to put Toronto up 7-5 in the seventh. Adam Moore's first home run since 2012 drove in the final run for Tampa Bay in the eighth. Tim Mayza (2-0) got the win and Ken Giles pitched the ninth for his 26th save. ANAHEIM, Calif. (AP) — Mike Trout hit a two-run homer, Shohei Ohtani went 3 for 3 and Los Angeles claimed the series opener. Taylor Ward also had a two-run shot for the Angels (79-81). If they can sweep the weekend series, they would finish with a .500 record in what is widely expected to be Mike Scioscia's final season as manager after 19 years. The Yankees routed the Red Sox 11-6 earlier Friday to clinch home-field advantage in the AL wild-card game, leaving the A's to travel cross-country to play Wednesday night in the Bronx for the right to face Boston in the best-of-five Division Series. Mike Fiers (12-8) entered in the second inning for Oakland and was hit hard. Taylor Cole (4-2) allowed one hit in 2 1/3 innings, struck out five and walked one. Hansel Robles worked the ninth to earn his second save. SEATTLE (AP) — Robinson Cano had four hits and Cameron Maybin had four RBIs as the Seattle Mariners built a nine-run lead after three innings on the way to the win. Maybin had three hits and Cano drove in two runs and scored twice. The Mariners scored seven times in the second inning, helped by four walks from Martin Perez (2-7) and a three-run error by right fielder Nomar Mazara. Perez had allowed two runs when he was replaced by Jeffrey Springs with two outs and the bases loaded. Jean Segura hit a fly ball and it looked as if it would be an easy catch for Mazara at the front of the warning track, but the ball skipped off the top of his glove, clearing the bases to make it 5-0. A single by Cano and a double by Nelson Cruz accounted for the final two runs of the inning. Seattle added two runs in the third on a double by Maybin and a single by Cano that made it 9-0. Maybin had an RBI double one inning later and a two-run single in the eighth. Robinson Chirinos hit a two-run homer and the Rangers scored four runs off Wade LeBlanc (9-5) in the fourth. He gave up two more runs in the fifth. SAN DIEGO (AP) — Freddy Galvis doubled home the winning run in the 15th inning to give San Diego a victory over Arizona. Hunter Renfroe's pinch-hit homer for the Padres with two outs in the 12th tied the score at 2. Pinch-hitter Javy Guerra drew a leadoff walk from Matt Andriese (0-3) in the 15th and scored on Galvis' double to right field. Colten Brewer (1-0) worked two innings for his first major league win. Nick Ahmed's shallow sacrifice fly put the Diamondbacks ahead 2-1 in the top of the 12th. Jose Pirela also homered for San Diego.